Monday, April 24 and Tuesday, April 25 Luke’s hosted our first BIG party of the year! 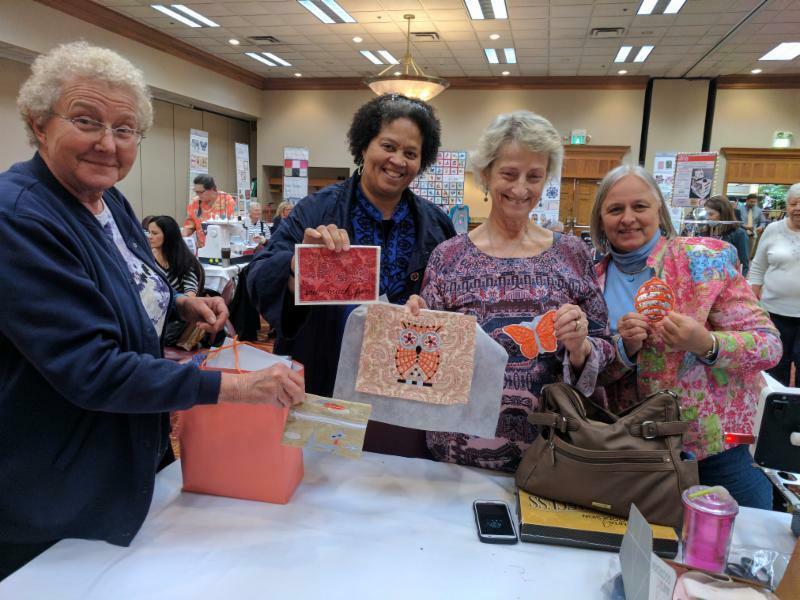 Over 100 sewing and embroidery enthusiasts joined us at the Holiday Inn in Erlanger, KY for two exciting days of hand-on learning, shopping deals, door prizes, great food and so much more! Steve G from Anita Goodesign was our excited and gracious host who shared all the “secret” tips and tricks he knows -and even divulged some up-coming collections that haven’t been released to the public yet! On Facebook? Click Here to See a Great Slideshow Gen Made of All Our Great Photos! But we still learned a lot! Even though we took plenty of breaks for door prizes and shopping – this event was FULL of hands on sewing using the Elna multi-needle embroidering machine. We created free standing lace charms, free motion blocks, confetti applique – and even a zipper bag in the hoop! Steve also gave us lots of tips on other techniques – such as assembling quilt blocks and tile scenes (“Just follow the guide lines – and remember to baste first!”) and Anita Goodesign’s Fold ‘N Stitch quilting technique. https://www.lukessewingcenters.com/wp-content/uploads/2017/05/IMG_20170424_114942.jpg 500 800 Nick /wp-content/uploads/2017/04/lukelogos-1.png Nick2017-05-11 17:10:512017-06-01 21:20:19Anita Goodesign Party 2017!